There are actually several moves you could make at this point. For now we’ll stay in the lower row of containers. The middle row looks promising. Filling in the two empty spots in that row should be fairly obvious to you now. 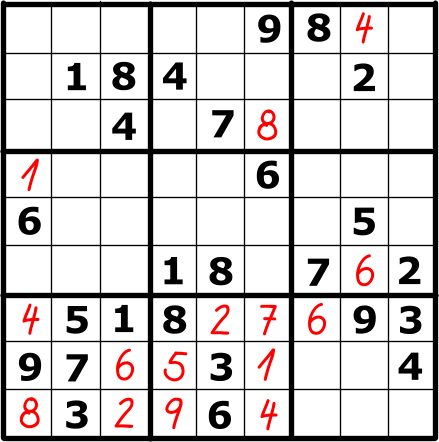 Just count (2 and 8 missing) and then look up the two columns. 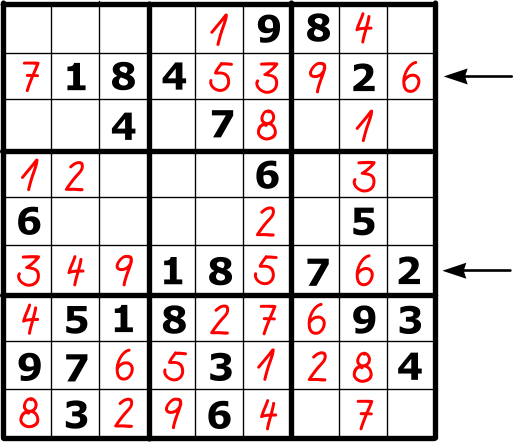 Note the 2 in the right most empty square’s column and you then know that square must be an 8 and the remaining square a 2. What numbers go into those three empty spaces? Again, just count and get 2, 3, and 5. Put the numbers into the empty squares and the row numbers for each square do not provide a unique answer. But, look closer. 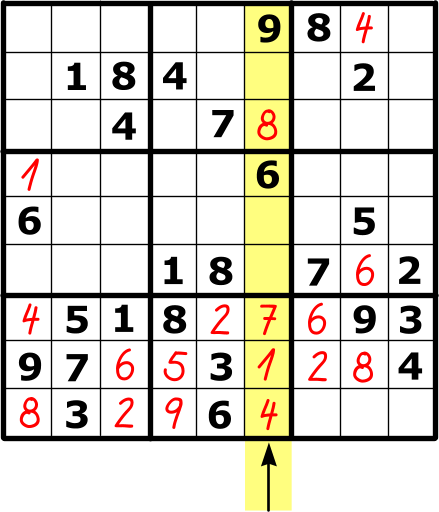 Two of those rows that intersect the column at the empty squares contain a 2. That means that the third square must be a 2 since it can’t go into any of the other squares. Keep this logic in mind as it happens more often than you might think. Why are we able to place a 3 in the green square above? Don’t read further yet; figure it out. Got it? Let’s see. What three numbers are missing from that column? Count to get 1, 3, and 7. 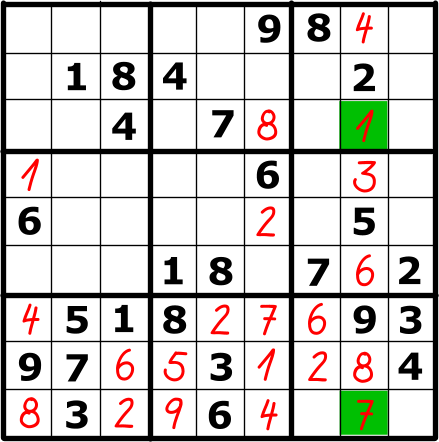 Note that the green square is in a location where neither the 1 nor the 7 can be (the 1 is in the row and the 7 in the container) so it must contain the 3. That leaves the 1 and 7 that need to be placed. Where would they go? The 2 comes from looking across the middle row of containers. The 1 comes from looking up the middle column of containers. Now look at the middle column of squares. 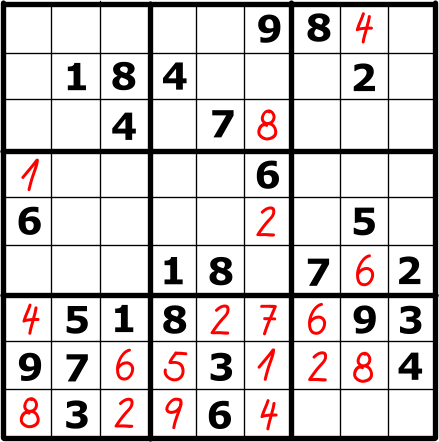 The empty squares are 4, 5, and 9. 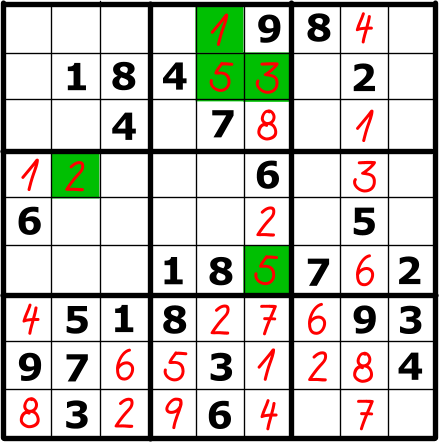 In the top container the 4 and 9 force the 5 into that empty square in the middle. The column next to it on the right needs a 3 and 5 to make it complete. 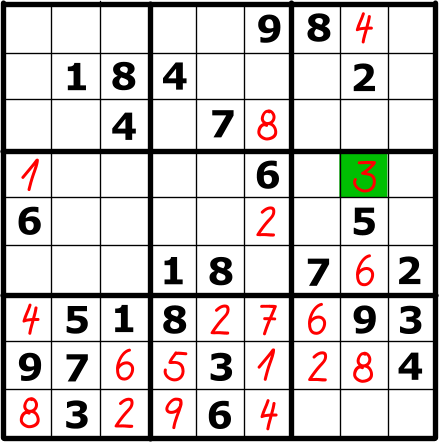 You just put a 5 into that top container so the 3 must be up there which leaves the remaining 5 at the bottom of the center container. Go over it carefully. The logic here is what you will use fairly often to solve Sudoku puzzles. It’s really nothing more than a variation on the “gimmie” logic. The top marked row needs a 6, 7, and 9. 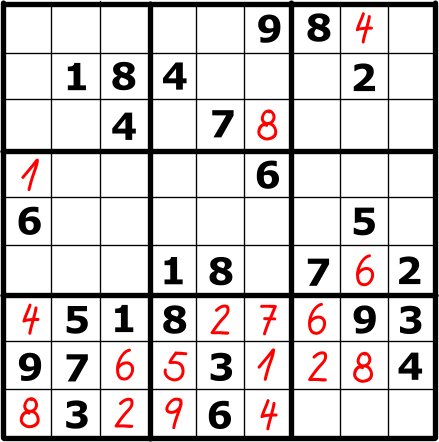 You can place the 9 by looking at the columns and noting the one with both 6 and 7 in it. The other two squares should then be obvious if you look at the intersecting columns and what they contain. The bottom marked row needs 3, 4, and 9. Again, look at the columns and what goes where should be obvious. That’s enough to digest for now so we’ll conclude the solution in the next post. 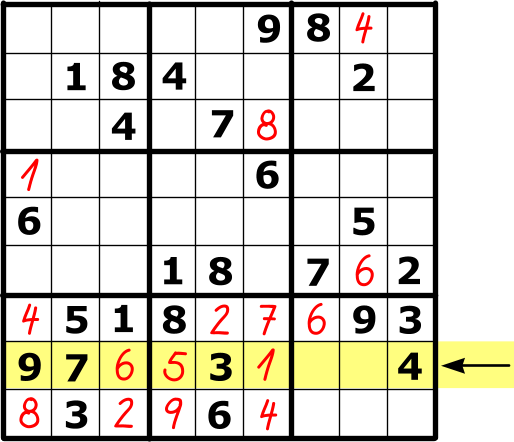 What is a Sudoku puzzle?